United defence, it’s amazing how people in Harare still talk more about the Harare Derby than about Dynamos’ superb show in the 4-1 destruction of MC Alger in a Champions League tie at Rufaro. For all its dullness, given a life in the dying moments by a goal created by the Sultan of Errors, whose demonic powers sent shivers into the CAPS United rearguard, it’s amazing how the Harare Derby still gets pride of place when it comes to conversations, in the capital, about this year’s football story. For all its shallowness, littered with basic errors that made it look more like a High School football contest than a showdown between the capital’s two biggest and most successful teams, it’s amazing how the Harare Derby still overshadows everything that has happened on the local club season this year. For all the senselessness associated with trying to find anything of value from that match at the National Sports Stadium last month, it’s amazing how all that mediocrity has been forgotten and all that is remembered are the few sights and sounds that emerged from a contest that failed its test. You talk about Tawanda Muparati, in any bar in the capital, and you are certain to arouse interest from those around you who have embraced him in their hearts because, at a defining moment in the Harare Derby, he was at the right place, and at the tight time, to make a difference. That the young man has barely made any other impression, since that day, in aid of the Glamour Boys, has meant nothing because, in the eyes of the Dynamos fans, what he during his cameo show in the Harare Derby was worth more than five goals scored against other teams. It’s fair to say Muparati has struggled, in that midfield, to build on the promise he showed during pre-season, with that left foot initially fuelling expectations of the arrival of a new Edward Katsvere, at a team so short on heroes these days it finds peace of mind in nostalgic journeys back into the ‘80s. But it’s also fair to say it would be devilish to judge Muparati in just six months, especially in the hotbed of Dynamos and everything that goes on at the club, and it is to his credit, which can only bring hope for a better future, that he can still score a winning goal in the Harare Derby. The late Masimba Mbuwa did the same, one sunny afternoon at a packed Gwanzura, and while he never developed into the superstar that the Dynamos fans wanted, he left a mark, just for scoring that goal in the Harare Derby, he will never be forgotten among the heroes of Vietnam. You talk about Martin Vengesayi, in any bar in Chitungwiza, and you are certain to draw scores of people sympathetic to the speed merchant, whose tears, as he walked away from the field during the Harare Derby last month, won him more fans than all the goals he has scored for the Glamour Boys. Sent off in controversial circumstances, for two bookable offences after having been unfortunate to have been booked for diving when he was fouled in the first half, Martin Vengesayi shed tears as he walked away, burdened by the weight of letting down his team, and traumatised by the curse of that unfortunate expulsion. In those tears, he watered the bond of trust between him and the Dynamos fans, many of whom sympathised with his soft dismissal for a double crime that he effectively didn’t commit, and when you cry for the Glamour Boys, on the grand stage of the Harare Derby, you become a darling for the DeMbare supporters. You talk about Murape Murape in any bar in Norton, and chances are that you will draw scores of people who have forgiven him, for everything that happened during a chaotic off-season when he dumped his boyhood team for Highfield United only to return on loan, because – in the Harare Derby – he was the heart and soul of the Glamour Boys. In those rickety legs, and that diminutive frame powered by a very big heart, Dynamos shaped their Harare Derby battle plan and, when they needed someone to impose himself on the game, it was Murape who searched, and found, the unique spirit that used to drive the Glamour Boys to success stories on these grand battles. Murape has said this will be his swansong season, in the Dynamos colours, and if he can sustain the inspired shows that have followed his stellar performance in the Harare Derby, then chances are that he could leave, not just with memories of a hearty show in the fixture that mattered, but also possible silverware in the cabinet. The Glamour Boys won the first edition of the 2011 battles of the Harare Derby, squeezing a 1-0 win in the dying moments of the game, and the reaction of their fans, who spilled onto the pitch in celebrations that would have been fit for winning the Champions League itself, put the magnitude of their triumph into perspective. We can spend the next 10 years trying to debate about how poor the Harare Derby was at the giant stadium last month, but what it clear is that all the phrases we will use will not make sense to the Dynamos fans who, for good reason, will concentrate on the fact that their 10-man team won the big game. We can spend the next 10 years trying to debate about how poor the Harare Derby was last month, but what is clear is that all the phrases we will use will not make sense to the CAPS United fans who, for good reason, will rather concentrate on cruel fate, which, at the decisive moment of the game, triggered confusion in their box. Hate it, or love it, what can’t be ignored is that the Harare Derby is not your average fixture and, while it might have lost some of the magic that made it special, it is still the ultimate club football fixture in the capital, if not on the Zimbabwean football calendar, and – even as it struggles to emerge from the web of mediocrity – it still rocks our soul. And, so tomorrow, we go again to the National Sports Stadium for the final edition, this season, of the Harare Derby. FC Platinum, powered by big money, have been the standout team of the Castle Lager Premiership, in their debut season in the top-flight, and have shown once again that, while money can’t buy you the title, it can make a huge difference in the pursuit of honours. The Zvishavane miners have created a conducive working environment for the players and, the arrival of one of the best coaches to emerge from Zimbabwe and the assembling of a galaxy of footballers on a mission to take the championship out of Harare and Bulawayo, for only the first time since St Paul’s took it to Musami, in Murewa, in 1966, have all contributed in the creation of this competitive unit. Exactly 45 years have passed since St Paul’s Musami, a team nurtured by the legendary Father Anthony Davis, won the domestic league championship in the only time that the trophy was won by a team that did not come directly from either Harare or Bulawayo. That St Paul’s team, which featured a certain genius called Jawet Nechironga and gave George “Mastermind” Shaya the launchpad of a career where he would be embraced as the greatest player to emerge in this country, finished the North Zone campaign on top, having won 11 of the 16 league matches it played. They drew three and lost only two, scoring 52 goals and conceding 17, to take their points tally to 25, four better than Salisbury Callies, who finished second on 21 points, from eight wins, five draws and three losses in a season in which they scored 49 goals and conceded 29. BSAP, the police team, was third with 21 points from 10 wins, one draw and five losses, scoring 52 goals and conceding 33 while Mangula were fourth with 21 points, from eight wins, five draws and three losses, scoring 42 goals and conceding 28. In those days, two points were awarded for a win. Bulawayo Rovers won the South Zone league, powering to 35 points from 19 matches, winning 17, drawing one and losing one, scoring 61 goals and conceding just 11. The Rovers were seven points clear of second-placed Wankie, who finished on 28 points from 19 games, winning 13, drawing two and losing four, scoring 67 goals and conceding 36. Bulawayo Postals were third, on 26 points, after winning 10 games, drawing six and losing three in a season where they scored 54 goals and conceded 26. The two-legged championship play-off, to decide the league champions for 1966, featured St Paul’s and Bulawayo Rovers and, after a 2-2 draw in the City of Kings, Father Davis and his men powered to glory with a 3-2 win at the Glamis Stadium in Harare, for a 5-4 aggregate victory, to be crowned champions. But Father Davis and his heroes could not win the double, after being knocked out of the Castle Cup following a 1-5 defeat at the hands of Cam and Motor, later known as Rio Tinto and Eiffel Flats, with the Kadoma goldminers also winning the Chibuku Trophy after a 2-1 win over Bulawayo Callies. Father Davis died in February 2003, the year little Amazulu also ended the Dynamos/Highlanders/CAPS United monopoly of league title honours, at the age of 88, finally succumbing to cancer, at the Jesuit House in Mt Pleasant where he spent the final days of his life. But he left his legacy, as the only coach who led a team from outside Harare and Bulawayo, to win the league title. In the 48 league championships that have been competed for in this country, Bulawayo teams have won the big prize 14 times and Harare teams have won the prize 33 times and only once, when St Paul’s took the crown to Murewa in 1966, did it elude the teams from the big cities. Dynamos lead the winners’ table with 17 league titles, Highlanders are second with seven league titles, CAPS United are third with four league titles while there are two titles each for Black Aces, Black Rhinos, Bulawayo Sables, Bulawayo Rovers and Salisbury Sables. A clutch of teams – Amazulu, Arcadia United, Gunners, Metal Box, Monomotapa, Motor Action, Tornadoes and St Paul’s – have one league title each. Chances are that this year’s league title could go outside the capital and the City of Kings with FC Platinum seemingly growing confident, with each passing week, and the big challenges from the big cities failing to materialise as the big boys struggle for consistency. It’s getting increasingly difficult to ignore FC Platinum and, while it won’t be an easy stroll in the park as the big boys will give it their best, it’s hard to see the weaknesses, in this experienced team, to suggest that they will collapse. Neutrals want FC Platinum to win and they will be joined by the Highlanders fans, in the event that Bosso are out of the race, the Dynamos fans, in the event DeMbare crash out of the race, the CAPS United fans, in the event Makepekepe fail to breathe life into their campaign, and the Zimbabwe Saints fans, in the event Chauya Chikwata remains a joke. But, even in this era where FC Platinum leads the pack – leading the race, leading the way in which they pay coaches, leading the way in which they pay players, leading the way in which they run their club – the brutal reality is that their arrival has failed to cast a shadow over the Harare Derby. Yes, neither Dynamos nor CAPS United will be top of the table come end of this round of fixtures tomorrow at around 5pm, and chances are that FC Platinum will still be perched at the top, but the reality is that the newspapers on Monday will be dominated by what happens at the National Sports Stadium tomorrow. The newspapers, tomorrow, will certainly be dominated by what is likely to happen at the National Sports Stadium tomorrow than what would have happened at Gwanzura today when little Kiglon, buoyed by impressive performances in holding Bosso to back-to-back draws, host FC Platinum in Highfield. FC Platinum could move five points clear at the top of the table, if they can make Kiglon’s youthful coach Pearson Matipedza pay heavily for telling H-Metro that the Zvishavane side were nothing but a PSL Select with fat bank accounts and little substance, in terms of talent, to make his team shake in their boots. 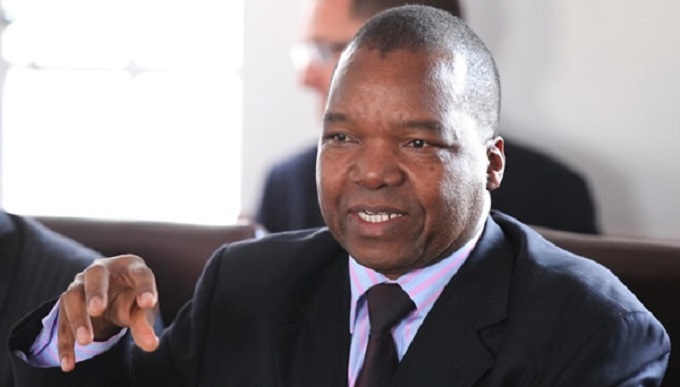 “FC Platinum are full of average players,” Matipedza told the top-selling tabloid. “They are just bags of money. They don’t intimidate us at all. 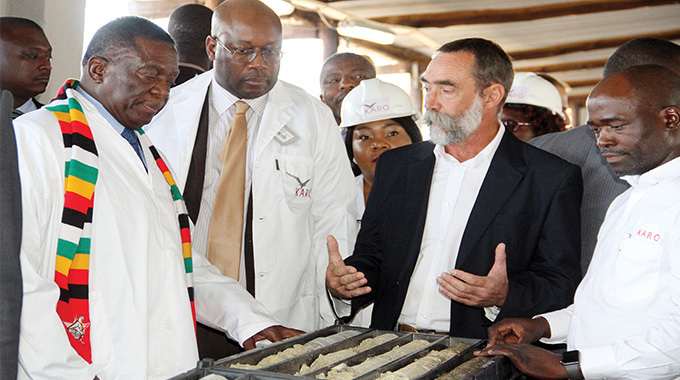 But, even if FC Platinum win at Gwanzura today and go five points clear at the top of the table, their latest success story, and its significance in the league championship race, will all be buried somewhere in tomorrow’s newspapers with the Harare Derby dominating the headlines. Maybe it’s not easy, to just destroy a fierce rivalry that now marks its 34th year this season, and when Murape Murape was asked this week, which team was their enemy number one, his reply told the whole story. “CAPS are our number one enemy. It’s always sweet to win against CAPS,” said Murape. Murape is now calling it the most beautiful goal, simply because it was against the Green Machine, you understand the rivalry. In the Harare Derby, because of the nature of the rivalry, even ordinary goals assume special significance. For that, you just can’t ignore the Harare Derby, on the few occasions that it comes around. Just show me your colours. From 1962, when the first official national league was unveiled in this country, until 2008, we always had the shadow of the big boys – Dynamos, on a solitary journey in the ‘60s, ‘70s and ‘80s – Highlanders and CAPS United, hanging over the championship race. Bulawayo Rovers won the first championship in 1962 and, inevitably, Dynamos won the next one, in the year of their formation, the following year. DeMbare won the championship in 1970, as the world waved goodbye to the Swinging Sixties and welcomed colour television and said farewell to Pele and his Magical Brazilians at the Azteca Stadium in Mexico City. 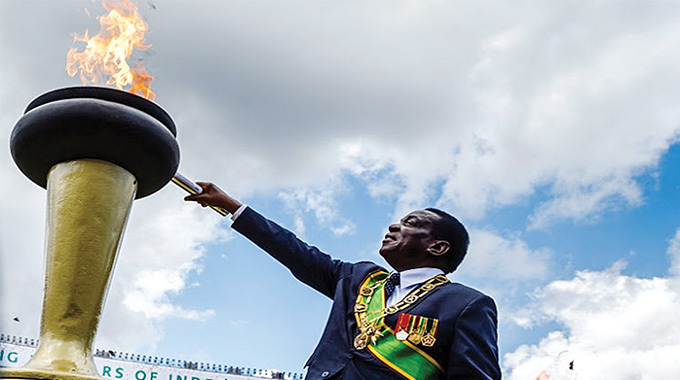 Fittingly Dynamos won the championship again in 1980, as Zimbabwe celebrated its independence, and Highlanders won their first championship in 1990 as we waved goodbye to the old order, where the game had been dominated in the capital, and welcomed King Peter Ndlovu. Bosso, again, won the championship at the turn of the millennium, in a dream four-peat success story, before Charles Mlauri arrived at CAPS United and ended their wait for a third, and a fourth, league title by winning the championship in 2004 and 2005. 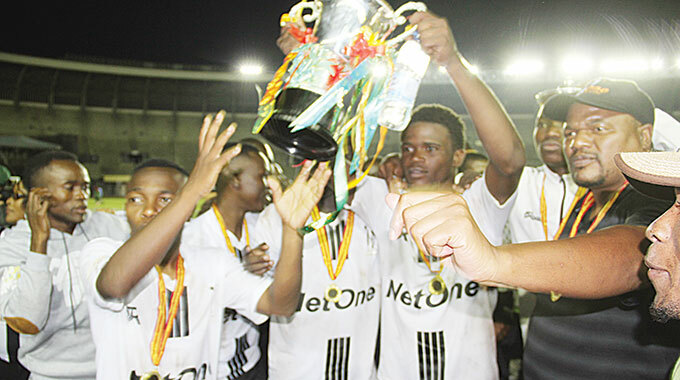 Even when the time came to end CAPS United’s double success story, the onus fell on Bosso to do it, with Methembe Ndlovu leading the team that he had played for, with distinction, in winning the league title as a coach in 2006. But if we were looking for signs, to tell us that something was changing on the domestic football scene, and that the giants were losing their grip on the championship, then the Dynamos story put everything into context. In the ‘60s, Dynamos won two league titles, in the ‘70s, they won three league titles, in the ‘80s, they won seven league titles and in the ‘90s, the people’s team won four league titles. But, since winning the league title in 1997, which gave them the ticket to go into the Champions League the following year and reach the final, Dynamos have only won one league title, which came in 2007, and this translates to one league title in the last 14 years. Bosso, who won four straight league titles between 1999 and 2002, and won again in 2006, are waiting for their first title in five years, while CAPS United, who won back-to-back titles in 2004 and 2005, including losing just one match in 2004, have not won in six years. Instead, what we have are a trio of new winners, in the past three years, with Monomotapa, Gunners and Motor Action all adding their names to the winners’ roll call while, in each of those three years, Dynamos had to be content with finishing second. Why has the landscape changed so much? CAPS United chief executive, Maxwell Mironga, gave a fair explanation this week as he took his apology, for the wild behaviour of a group of their fans that forced the abandonment of their league match against Gunners, into the public domain. failing to win the championship. “The behaviour of our fans dents the image and the reputation of the club and we have been known to be a disciplined institution and that is why we have managed to export some players to clubs outside the country,” he said. “But if we are always in the media for the wrong reasons then no-one will want to do business with us. “IF YOU LOOK AT IT, NONE OF THE THREE BIG CLUBS IN THE COUNTRY HAVE WON THE LEAGUE BECAUSE OUR SUPPORTERS ARE PUTTING TOO MUCH PRESSURE ON THE PLAYERS AND THE REFEREES. “AGAINST GUNNERS, SOME SUPPORTERS WERE BOOING EVERY DECISION OR FOUL AGAINST US AND IT WAS A VERY NEGATIVE CONTRIBUTION. You couldn’t have said it any better Mr CEO. It’s interesting to note that if Farai Munetsi, then the Dynamos chairman, had not stood by Lloyd Mutasa, when the team was struggling and pressure built from Vietnam, Samaita could well have disappeared from the geography, associated with the Glamour Boys, into their history books. Bosso, to their credit, have stuck with Mr Cooper and supported him but the pressure continues to build and, just two games into their new roles at CAPS United, both Maxwell Takaendesa Jongwe and Alois Bunjira have slipped into the pressure zone. Bambo’s attack, in which he accused Jongwe of allegedly back-stabbing him and clandestinely working at replacing him, long before the directors at CAPS United had decided the time had come for them to part company, will only add to the weight of the pressure. What is true is that there is undue pressure, especially from the terraces, at the Big Three and, it’s usually hard for any of the clubs, to get into long-term projects, in terms of their vision for their technical teams, because a lot of decisions will be influenced by what is coming from the pitch. Jongwe appears a decent coach but, if results don’t come, he is doomed. He will not get his chance to work on his vision for the club. A defeat tomorrow will certainly pile the misery and, given that it’s against Dynamos, the pain inflicted will be felt in the stands and Jongwe will certainly be living on borrowed time. But Jongwe knew, before he accepted the job, that this is a pressure situation and he must be given time to try and work his magic, even if it happens that he loses to the old enemy, because – as they always say – Rome wasn’t built in a day. Patience pays in the end and the irony of it all is that had Chunga stayed at CAPS United and possibly won the back-to-back games against Gunners, something he appeared capable of given his record against teams in the bottom half of the table this season, the Green Machine would have gone into the Harare Derby sitting in third place. It’s certainly hard to see the giants ruling, with the ruthlessness that they had in the ‘70s, ‘80s, ‘90s and early to mid-2000s, because the so-called small boys have closed the gap and, with each year that passes, with the big-boys having lost the race for the league title, the pressure builds. In the ‘80s it was not only fashionable but also, in some cases, a way of life, for players to play for Dynamos, Highlanders or CAPS United because it felt like they were fulfilling a certain family role in doing so – either for their grandfathers who supported these teams or their fathers who believed in these giants. When CAPS United came on board, they represented an option, for those disgruntled with the old order, and in Joel Shambo, they provided the youthfulness that brought in the young and rebellious fans, and in his good looks they provided the poster boy who charmed the hearts of many young girls. So the Big Three ruled and Dynamos won seven of the first nine league championships competed for after Independence and Bosso dominated at the turn of the millennium and Makepekepe flexed their muscles during the middle of the first decade the years that began with the number two. But times are changing, at times too quickly, for the Big Boys and while Dynamos and Highlanders were at the beginning of the year dumped by players who could not resist the temptation of the good life promised by FC Platinum, CAPS United continue losing their best stars to Mamelodi Sundowns in South Africa. The three teams, whose junior structures produced a galaxy of stars in the ‘80s, who understood the culture at the team and played with the right spirit, have all turned into buying clubs, who import foreign material who struggle to adjust in the pressure cooker zones at these clubs. The players, who certainly need support from the fans as they try to settle, find themselves vilified by the same supporters, in the event that they don’t make an immediate impact, and they don’t only lose their focus but are drained of their confidence. Isn’t it incredible that Khama Billiat, when he was thrown into the fray into the CAPS United team by Lloyd Chitembwe, was hounded out of the side by the fans because they were not happy with his shaky performances as he tried to adjust to playing for such a big club? Ajax Cape Town gave him a chance and, in the past six months, we have all seen what the real Khamaldinho, playing his football at an institution that gives him the freedom to express his talents, can do and he hasn’t only exploded for his team but also for the Warriors. His goal, against Orlando Pirates in Cape Town during the just-ended season, was pure class. The Big Three, at this rate, face a tough task to try and rule again and, while they will certainly win one or two championships here and there, dominating the scene, the way they used to do in the past, does not look a possibility right now. CAPS United fans turned their anger on referee Ruzive Ruzive at Rufaro on Sunday claiming that the Harare match official had ruined their game against Gunners with a number of questionable decisions that swayed the game in their opponents’ favour. I have watched the video recording of that match, courtesy of my friends at H-Metro, not once but twice, and I feel Ruzive was right, in both instances, to send off David Sengu and Edmore Chafungamoyo. His performance, during the match, was certainly better than average. What is questionable, in my humble view, was Ruzive’s decision not to even produce a yellow card when Marvel Samaneka was given brutal treatment by Gunners. It’s such incidents, which send a signal – especially in games where emotions are running high like last Sunday’s encounter – into the fans that the referee might be playing for the other side. Bambo’s presence on the Gunners’ bench and everything that had happened when he was at CAPS United, all contributed to send the emotions into explosive mode. I have always believed that Ruzive is one of the better, if not one of the best, referees that we have in the domestic Premiership today. had been missed only for Washington Arubi to make the conversion. So, the events last Sunday should be looked at in the context of tomorrow’s match, because that is what riled the CAPS United fans. To them, Ruzive was weakening their team, in that game against Gunners, by sending off key players, to prepare the stage for tomorrow’s tie where a weak CAPS United would run onto the field against a strong Dynamos. It moved beyond just Gunners winning the game but turned into a plot where CAPS United was being deliberately crippled by the referee, in one way or the other, so that they would be lambs for the slaughter when they face Dynamos. 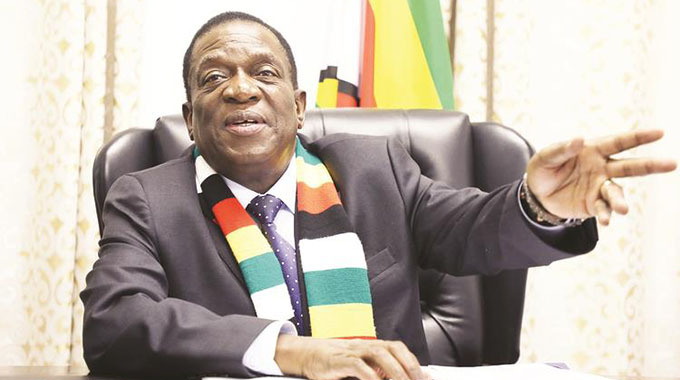 Of course, it will be impossible to sustain such allegations or prove whether the plot indeed existed, but what is true is that conspiracy theories are always abundant, especially in the stands and when the Harare Derby looms, and when two players are sent off, whether rightly or wrongly, it all feeds into the plot and it thickens. The jury will remain out for Ruzive, especially on the green side of the capital, but the challenge is for him to prove those who doubt him wrong because, given his young age, he still has a long way to go in his chosen field. He is not alone in that predicament and there is a feeling, in English football, that Howard Webb supports Manchester United and it became so crazy that former Liverpool striker Ryan Babel posted a computer generated picture of the referee, in a United shirt, on his Twitter account. Babel was fined 10 000 pounds for that. So, if a referee who was deemed good enough to handle the 2010 Fifa World Cup final, can suffer a similar predicament, in view of what the fans think about him, Ruzive should know that this is all part of the game and he should let his whistle prove his critics wrong. Gondai Mazhuwa and Lazzie Hacha, two nice guys I met on the Facebook social site and became very close to them as we exchanged views on football and other issues, have been questioning why I have suddenly disappeared from my site and I’m not active on Twitter either. Well, given all that is happening in terms of Asiagate, I took a conscious decision to take a break from Facebook and Twitter because, the last time I posted something on the wall, it ended up being taken as quotes, for a certain story, in an online publication. So, given that I have to be careful about what I say and what I don’t during these trying times, keeping away from the social sites has been an important part of how to handle this sensitive period and, if that has disappointed a lot of people who wanted to chat with me, then I can only offer my apologies. Thanks to technology, where everything posted on my Facebook account is reflected on my emails, I can assure you I am reading all the stuff, the good, the bad and the ugly, and the only sad thing, at this stage, is that I can’t respond because it will send my lawyer into a trance. What I am certain about is that I will be back on chat soon. Reports this week that Knowledge Musona’s move to German side Hoffenheim could collapse, because Kaizer Chiefs are holding on for a bigger transfer fee, made very sad reading indeed. It brought back memories of 2004 when Tinashe Nengomasha, having shined for the Warriors at the Nations Cup in Tunisia, attracted a number of offers from French clubs. Well, he never moved because Chiefs held on for a bigger transfer fee, which never came, and Father – whose talent should have been exposed to European football – spent the best years of his career at the Amakhosi. Yes, they won a lot of trophies, thanks to Father, but he didn’t benefit as much as he would have done had he moved to France in 2004. Sadly, the same story appears to be repeating itself with Musona and, given that Chiefs paid peanuts to get him from the Aces Youth Academy, surely with what he has done for the club, they should put his career ahead of their financial interests. Little Farai returns from school one day, with his report card showing that he had got an F in arithmetic, and his father is a little bit upset. “What’s the f****ng difference?” said the father. “That’s exactly what I said to the teacher,” said little Farai. You can also add your views on my Facebook account.